Find out how migrating to a new security platform allowed SVA to implement significant changes in its infrastructure and keep students, staff and visitors safe and secure at all times. 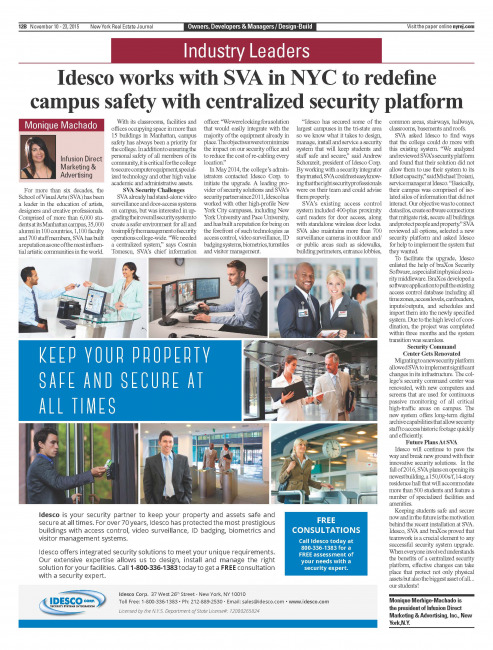 NYC-based School of Visual Arts partners with an integrator and manufacturer to bolster the protection of students, faculty, staff and campus physical assets. The Regional Emergency Medical Services Council of New York City (NYC REMSCO) is a not-for-profit corporation whose main function is to enhance emergency medical services for the five New York boroughs. 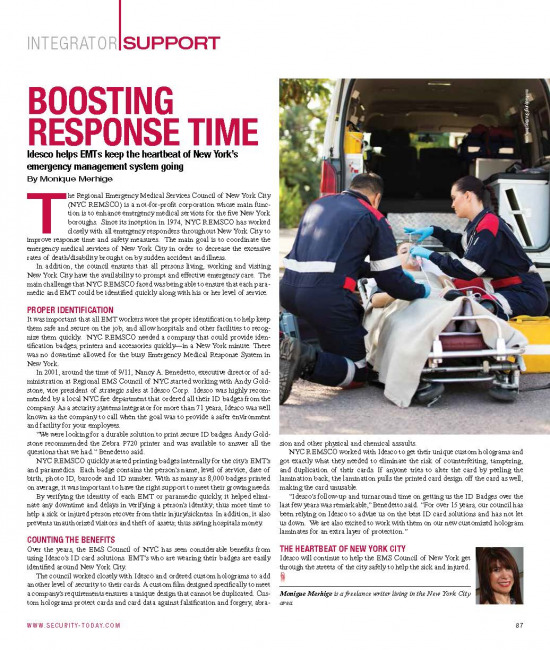 Since its inception in 1974, NYC REMSCO has worked closely with all emergency responders throughout New York City to improve response time and safety measures. 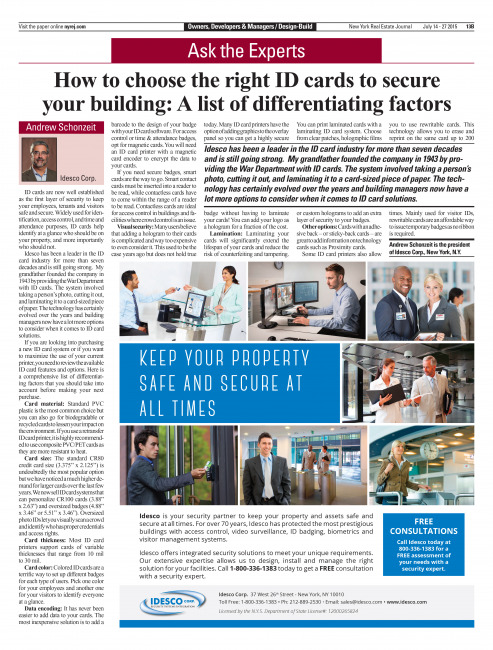 By: Andrew Schonzeit, President of Idesco Corp.
Over the last decade, issuing secure ID cards has become critical for property managers and building owners. Not only do photo ID badges help identify who should be on your property and who should not but they are also instrumental in controlling access to your premises and keeping everyone safe. 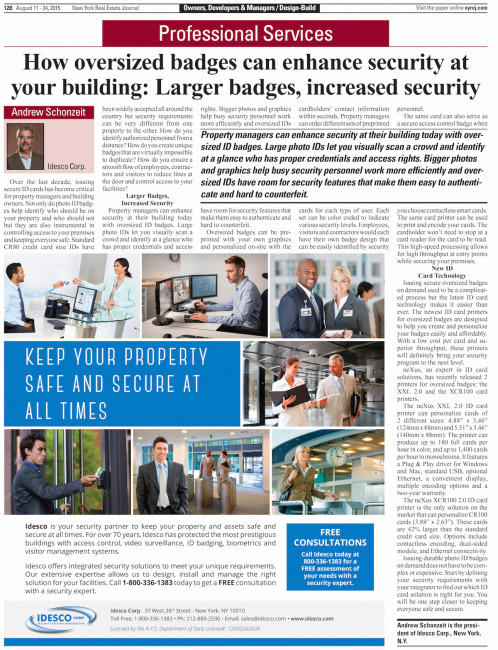 ID cards are now well established as the first layer of security to keep your employees, tenants and visitors safe and secure. 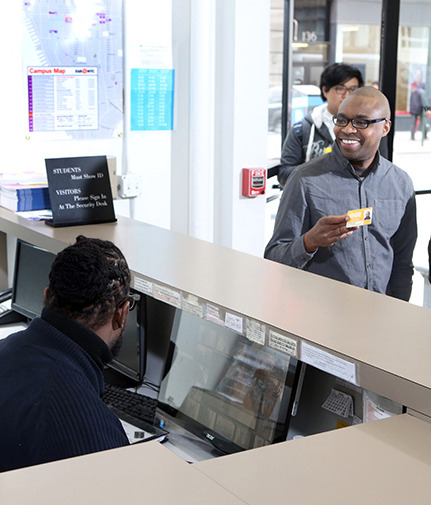 Widely used for identification, access control, and time and attendance purposes, ID cards help identify at a glance who should be on your property, and more importantly who should not. 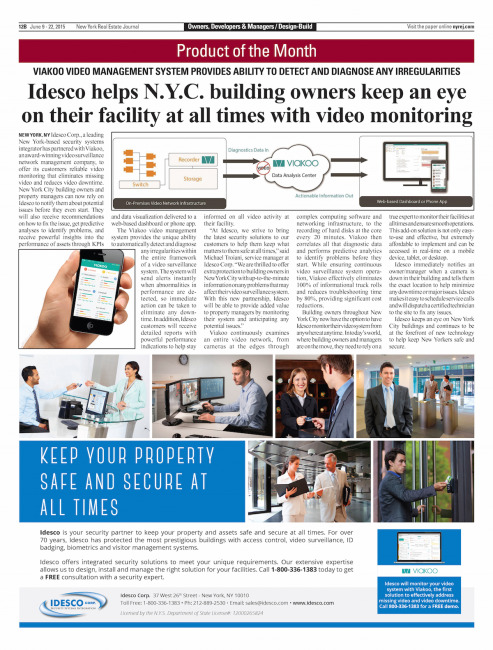 Idesco Corp., a leading New York-based security systems integrator has partnered with Viakoo, an award-winning video surveillance network management company, to offer its customers reliable video monitoring that eliminates missing video and reduces video downtime.